A reaction to factual stories on vaccination (Part 3). 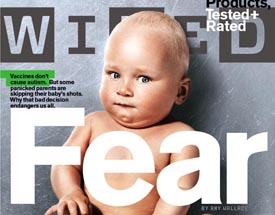 Note: You can now read this at Wired Magazine. Day 1. Day 2. This is the third part of Amy Wallace’s (website) (twitter) tweet session following up her amazing article in Wired Magazine. Today’s tweets are feedback from people who actually have Autism Spectrum Disorder themselves and how it affects them. As with the last few days, I have decided to consolidate this in to a blog post that is easier to read for those who, like me, find it annoying trying to read bottom to top and in such short snippets. Again the only changes I have made have been the adding of paragraphs (something not possible in 140 character tweets) and the occasional full stop, comma or space. Other than that, the section in block quotes below is directly as they came from her twitter stream. Just got my first email from Poland. It comes on the heels of a few from Australia and Japan. Vaccine panic is indeed a global issue. I want to talk about something we didn’t discuss in the Wired piece. That is: how vaccine panic affects adults with autism. In the past week or so, I’ve heard from several people who said they were on the autism spectrum. They all said they enjoyed the article. What they don’t enjoy, however, is hearing themselves described as people that no one wants to be. I just was interviewed by NPR’s “All Things Considered.” Tune in later today. Another blog discusses vaccine panic and the Wired story/aftermath: http://leftbrainrightbrain…. Part 1: Initial response to feedback. Part 2: Quotes from most eloquent letters. Part 4: Comments from the article. Part 5: Comments and feedback.